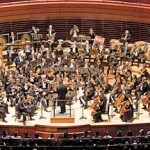 The Philadelphia Orchestra launched its third season under music director Yannick Nezet-Seguin with a gala featuring Lang Lang. Every major American orchestra now feels called upon to begin its season with a bang, featuring a star name and a glitzy, if not always interesting, safe program. Lang is certainly a name at the top of most orchestras’s list of musical celebrities. 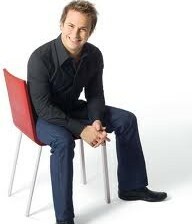 Renee Fleming, Joshua Bell and Yo Yo Ma are others. They make the circuit nationally each autumn wowing donors.I’m not sure this is the best kind of performance for judging the state of the art in the City of Brotherly Love in 2014. Opening week programs are love-ins designed for big contributors. Who came and who wore what often trumps musical content. The following week the Philadelphians scheduled a more interesting concert. Two of the pieces were part of a programming novelty the music director devised to celebrate his 40th birthday — 40 compositions that the orchestra has not played at a public concert in the past 40 years. Gimmick or not, this is a programming move that audiences should encourage. It gets the organization away from the annual Brahms and Beethoven cycles they seem to feel they need to fill the auditorium. It down plays Mahleria still epidemic on symphony orchestra programs. And it offers an alternative to a lot of very forgettable new music that often stands in as the alternative to the standards. New Music is far worthier today than it was 50 years ago, but we are still not producing new Brahms and Mahlers. Are the great composers of our generation writing jingles for car commercials? hip hop compositions? or working as investment bankers? I have no idea but I do know orchestras have played an excessive amount of forgettable music in the past 100 years. Does anybody screen this stuff in advance? The opening item was Autumn, the final movement from the ballet The Seasons written by Alexander Glazunov, a pupil of Rimsky Korsakoff’s. This is the best movement in a charming ballet that deserves to be heard more often. Anyone who likes the Nutcracker will like this. Dramatic, colorful and chock full of memorial themes, it was a pleasure to hear this played live and by the Philadelphians who are again at their peak. Nezet-Seguin did full justice to its swirling lines, especially carressing the sensuous adagio. You don’t need to see the dancers here. Glazunov’s music fully evokes them. brief appearance of the flextone in the second movement, a kind of musical saw, that was improvised by the percussion soloist in the orchestra for this performance. This forgotten instrument produces a weird interesting sound. I wondered why the composer wanted it, but it added to a throughly fascinating musical experience. It did not make me want to run home and put on my recording of the piece — there are a few — but it deserves to be heard more than once every 50 years, especially at a time when so many popular pieces are over -exposed. The non-40/40 piece heard after the interval might also have qualified if it were not for the special relationship the orchestra had with Sergei Prokofiev. It was the less popular first symphony that created such anguish for the composer when it was premiered at Moscow Conservatory under the baton of its director Alexander Glazunov. The composer tried to destroy it, but it has been resurrected from printed parts and now occupies a place at the corner of the repertory. It is not a great composition like Rachmaninoff’s Second Symphony and his concertos but it sounded very attractive in the hands of Yannick and the Philadelphians who played their hearts out that night. I cannot imagine a better advocacy. It holds much that suits the Philadelphia sound right down to its core. After the performance, Nezet-Seguin came out in a pullover and slacks with CEO Alison Vulgamore and connected the dots for this program. 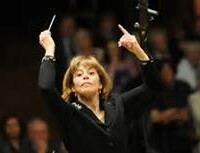 It was great to hear the enthusiasm, the thinking and the passion this conductor brings to his job. I once asked a member of the cello section of the orchestra how long the honeymoon period with its new music director might last, and he said he thought it might never end. Obviously it hasn’t.